The dark blue green margin of Hosta 'Golden Meadows' is rather more wavy and corrugated than the central section, creating a remarkable effect. Starting off quite a golden yellow, the middle changes to a whitish green as the season continues. 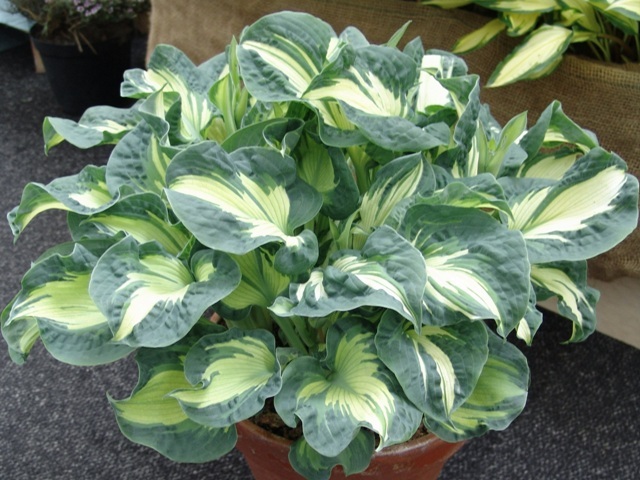 Another sport of Hosta sieboldiana 'Elegans' to add to your collection. Click the button below to add the Golden Meadows to your wish list.